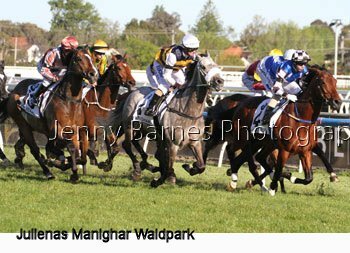 The first race the Sunrise Cup was taken out by Suavito (by Thorn Park) from the Nigel Blackiston stable from Roop All with Patricia dawn third while the Polytrack Gothic Stakes went to the South Australian trained Hucklebuck (ridden by Dom Tourneur) from the Phillip Stokes stable taking his record to 4 starts for three wins and a very unlucky third place at his previous start. 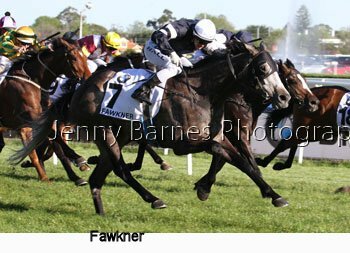 The New Zealand Bloodstock Ethereal Stakes for the 3yo fillies was taken out by the grey filly Arabian Gold from the Sydney stable of David Vandyke who has now had 9 starts for 5 wins and 2 placings while the Jacob Park Thoroughbreds Norman Robinson Stakes for the 3yo colts and geldings saw the Robbie Laing trained Polanski make it two in a row defeating San Diego with Epic Saga third. 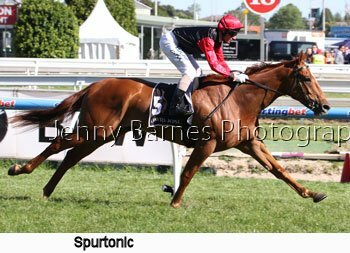 Queensland was successful in the next race the Carlton Draught Alinghi Stakes where the Liam Birchley trained Liesele defeated Sumakaray with Lonhspresso third just ahead of SA runner Avoid Lightning. 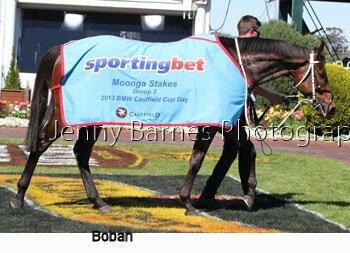 Its not often you see the Epsom winner turn up on Caulfield Cup day but Boban lined up in the Group 3 Sportingbet Moonga Stakes over 1400m to prepare for the Group 1 races later in the Melbourne carnival. 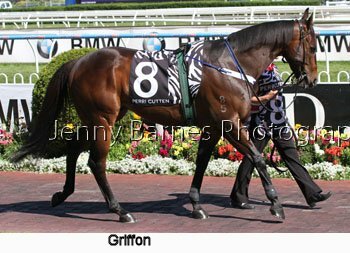 Under the set weight and penalties conditions the topweight was 59.5kg with only a 3.5kg spread in the weights. 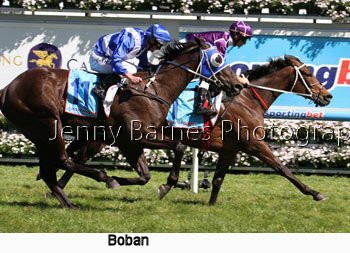 Strawberry Boy was prominent throughout but it was a determined Boban who charged up along the rails to come away to win easily on the line from Strawberry Boy with Galah third. 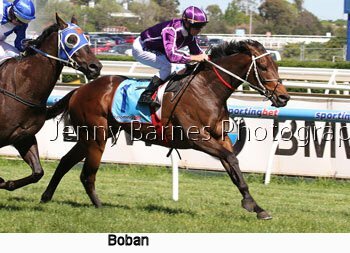 From the Sydney stable of Chris Waller Boban remains undefeated in 4 starts this campaign taking his overall record to 17 starts for 7 wins and 2 placings. 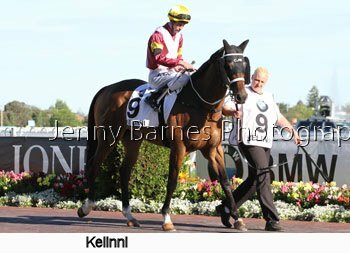 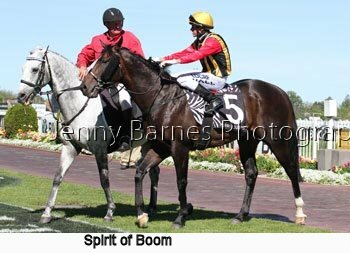 The Group 2 Perri Cutten Caulfield Sprint featured the dual Group 1 winning sprinter Platelet carrying topweight in the handicap race, 2012 Epsom winner Fat Al and the highest stakeswinner in the race the Queenslander Spirit of Boom. 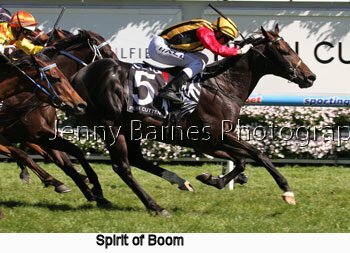 In the straight Platelet was in front but was soon under siege as Pago Rock ran on down the outside before Spirit of Boom finished the hardest of them all to take the lead and win going away from Shamal Wind with Ready to Rip third, Pago Rock fourth and Platelet fifth. 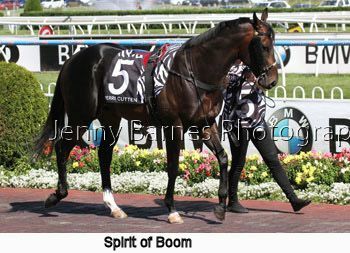 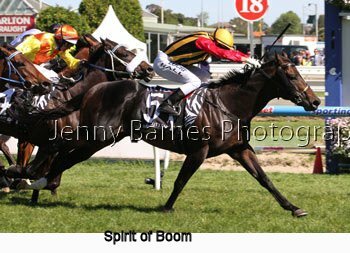 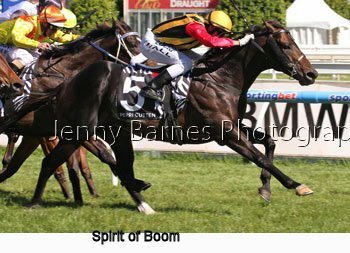 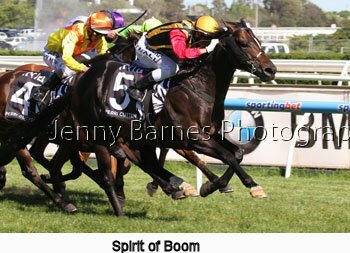 Spirit of Boom took his record to 43 starts for 7 wins and 15 placings. 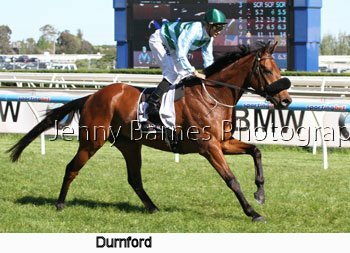 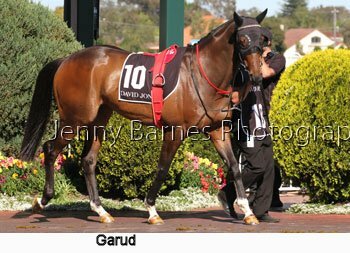 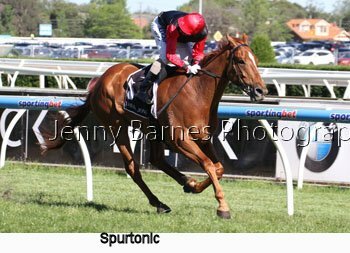 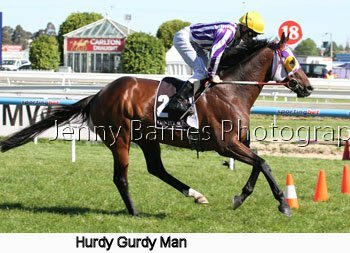 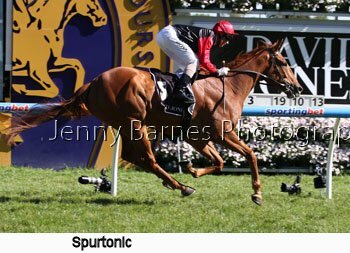 Spurtonic was fourth in the Epsom a fortnight ago and stepped up in distance for the David Jones Cup (registered as the Coongy Hcp) and was too good defeating Bass Strait with Garud third. 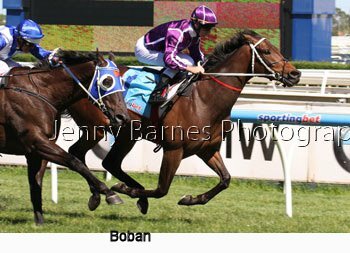 From the stable of Gai Waterhouse Spurtonic takes his record to 13 starts for 5 wins and 3 placings and was ridden by Glen Boss. 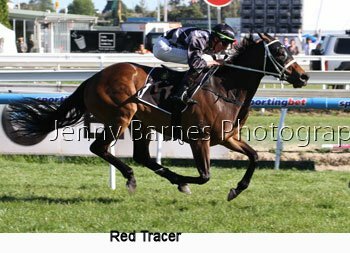 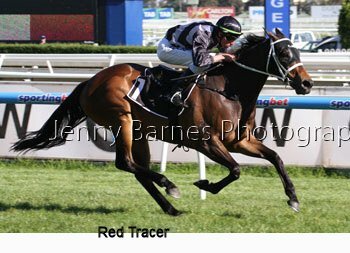 The Yellowglen Tristarc Stakes saw Sydney dominate again as Red Tracer made it a double for the Chris Waller stable defeating Koonoomoo with Ava's Delight third. 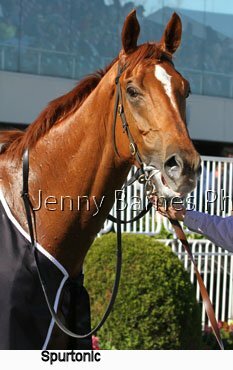 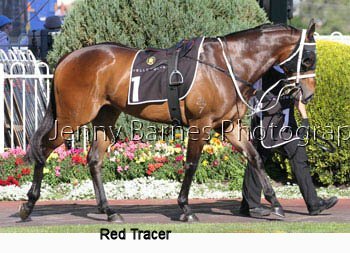 A winner of the Group 1 Tatt's Tiara over winter Red Tracer was second up after running second in Sydney and was simply too good for this field of fillys and mares. 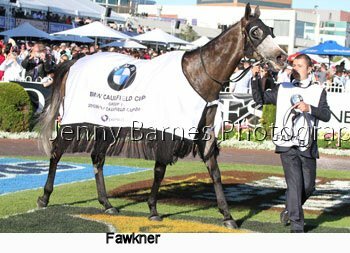 And then it was time for the main race the BMW Caulfield Cup. 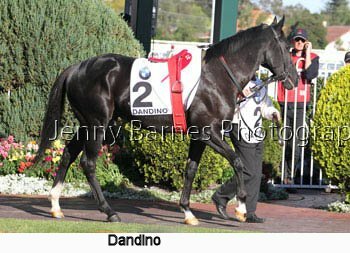 With a full field of 18 runners seeing many line up with a very light campaign into the race there were plenty of pros and cons for each runner and plenty of questions of some such as Dandino who won the USA St Leger at his last start in August and had run second in the Hardwicke Stakes a start earlier but was tackling the race first up. 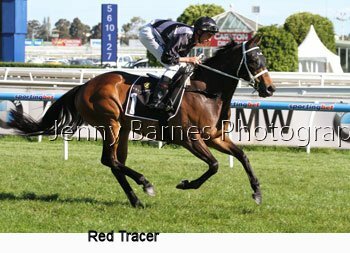 Manighar the established class horse in the race but hadn't been in the best form this preparation, the Sydney performers who had strong form through their local races but was the class up with the Victorians as often Sydney form has struggled in the south and then there was Fawkner who had been beaten a lip last spring in the Emirates Stakes over 1600m could he stay the extra distance. 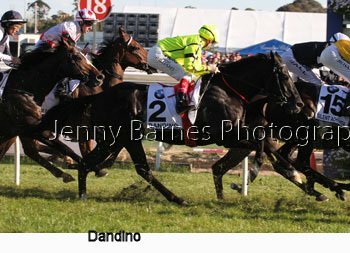 Coming past the post the first time there was a bit of crowding with Glencadem Gold suffering interference near the rail (as can be seen in the Dandino pic below) as runners found their positions. 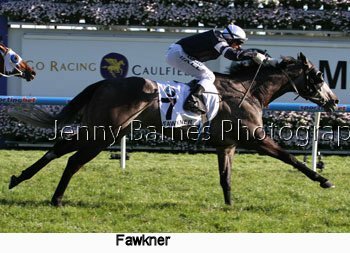 Both Fawkner and Dandino found spots in the rear half of the field while Dear Demi was on the rail and got checked behind Glencadem Gold early on. 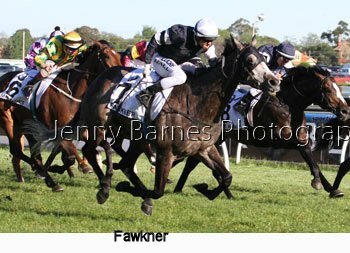 Around the home turn Fawkner moved away from his spot on the rail and got the perfect passage through to be on the outside of others by the home turn as Dandino moved wider to start a run around the field from a long way back with Dear Demi getting through closer to the rail. 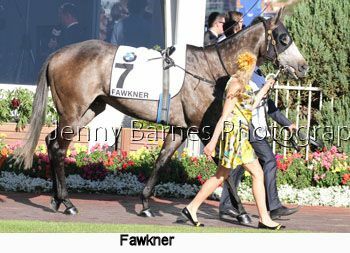 In the straight Fawkner hit full speed and it was clear he relished the longer trip as he stormed home to win as he liked from the fast finishing Dandino who had been held up for a stride or two on straightening but putting in a great traditional run for the Melbourne Cup while Dear Demi stuck on along the rails ahead of Jet Away who tried hard and Royal Descent in fifth. 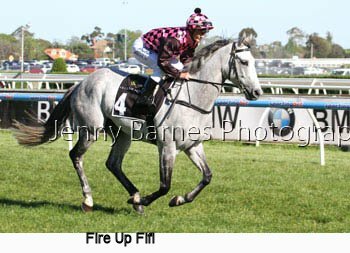 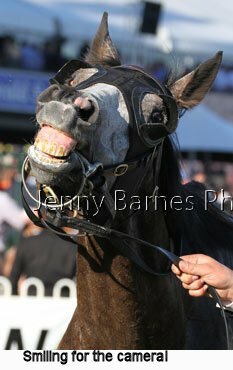 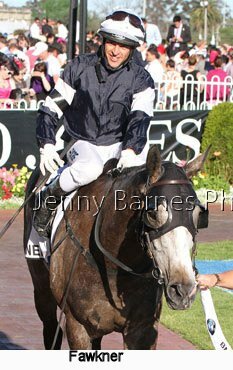 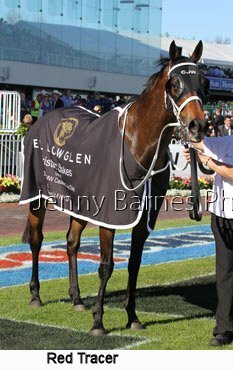 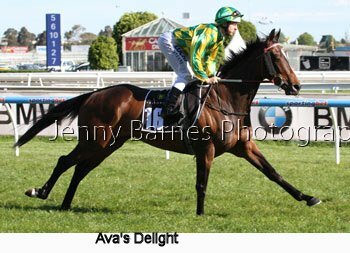 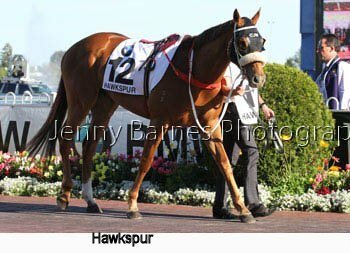 Fawkner is by Reset from the Danewin mare Dane Beltar who was sold through the South Australian Yearling Sales in 2002 (photo below) and went on to win the Auraria Stakes as a 3yo and continue to perform well in staying events. 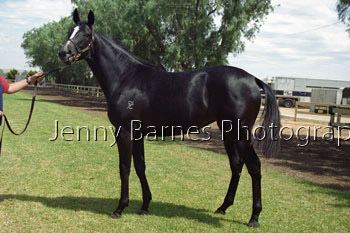 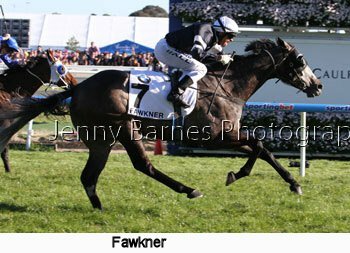 Once retired to stud she produced the stakeswinner Tanby as her first foal and Fawkner is her second foal. 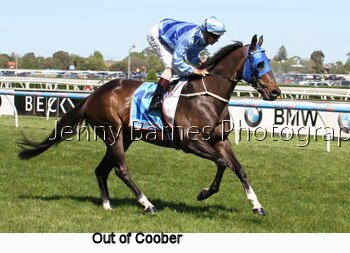 Both are likely runners in the Melbourne Cup this year. 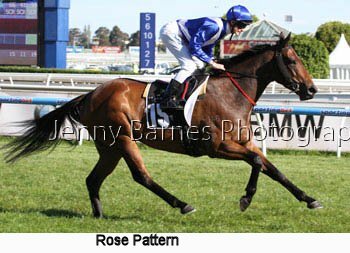 Her third foal by Bel Esprit is the successful Queensland racehorse Revitalise while her fourth foal is Viking Star (by Red Ransom) was has made a promising start to his career in Adelaide. 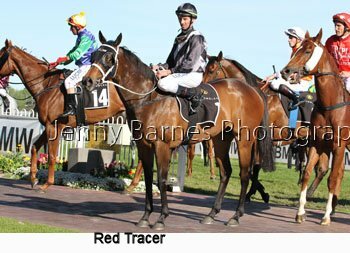 Her next foal was a filly born in 2012 by Starcraft and another filly has followed this spring by New Approach. 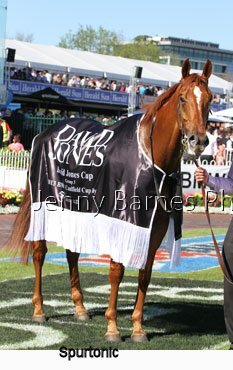 All bred under the Mill Park banner who are located in Meningie in South Australia and Fawkner is their third Caulfield Cup winner in the last 11 years with Mummify and Southern Speed the previous winners amongst many other feature Group 1 winners such as Happy Trails who is lining up in the Cox Plate this coming weekend. 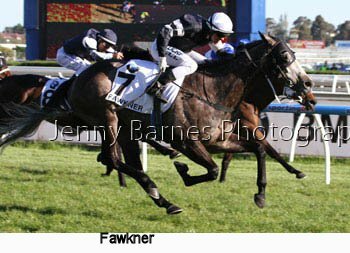 Fawkner himself was given plenty of time to develop and started his career as a late 3yo with two wins and a placing at his first preparation in early 2011. 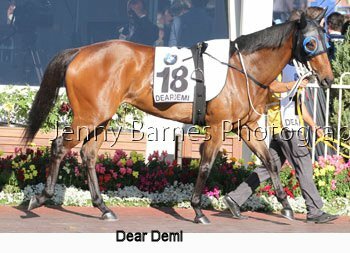 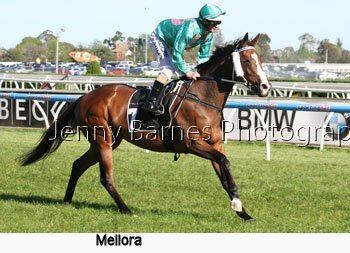 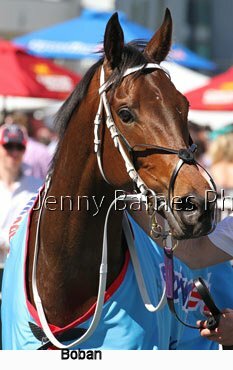 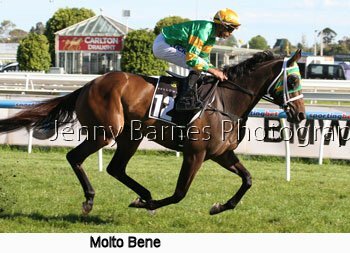 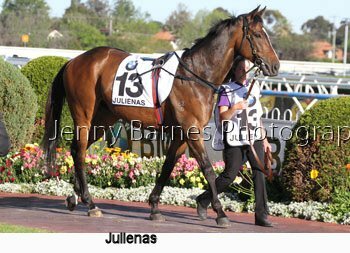 As a 4yo he was unplaced first up before winning at Moonee Valley and Flemington during their spring carnival racedays then heading to Sydney for a second at Rosehill. 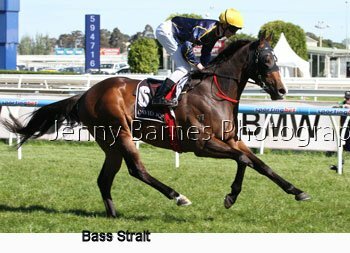 Four starts in the autumn saw a second over 2000m and then a win over the now hurdler Stoneblack over 1600m at Flermington. 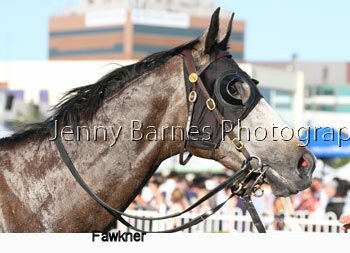 Last Spring he won twice at listed level at Flemington before an eyecatching win on the first day of the Cup Carnival which saw the grey straight to favouritism for the Emirates Stakes. 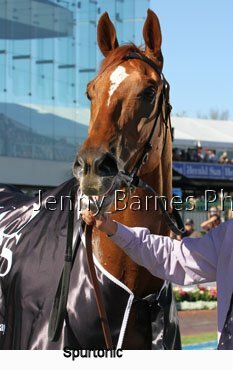 In that race he was nosed out by South Australian Happy Trails and was spelled before having one run in the autumn. 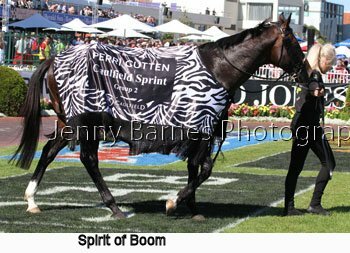 That race was the William Reid Stakes where he took on the specialist sprinters and finished third to Black Caviar and probably should have finished a lot closer than the 4.5 length margin. 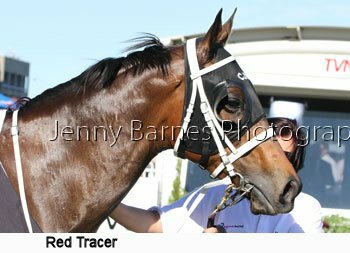 This preparation he started in Sydney with unplaced runs in the Tramway and George Main Stakes before a good third to Happy Trails (again) in the Turnbull Stakes and in the Caulfield Cup proved the stamina of his breeding to win the Caulfield Cup. 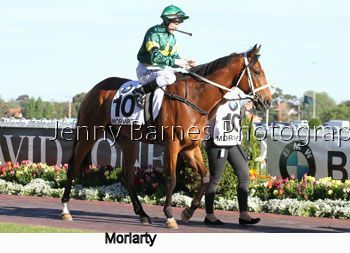 With a penalty for the Melbourne Cup taking him only to 54.5kg he has to be considered a leading chance in the big race.